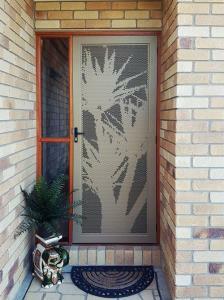 Decoview is the market leader in laser cut decorative security screen doors and windows. 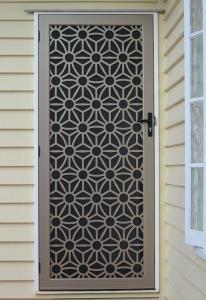 It is so easy to enhance your street appeal with a laser cut decorative screen door. 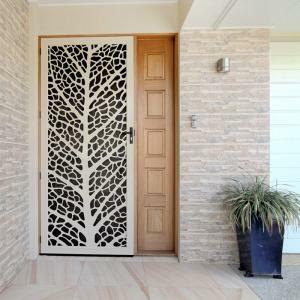 A new standard of security screen door is here! Isn’t it about time we started to think about good design and Australian made quality? 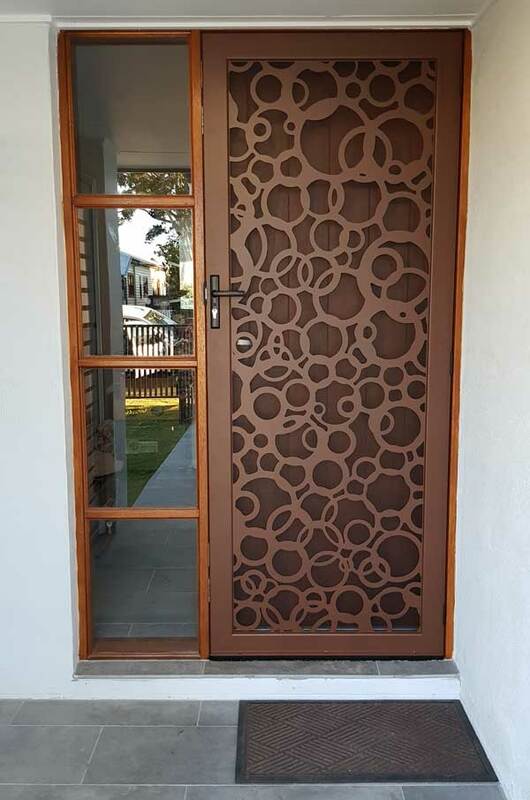 laser cut edge rounded marine grade aluminium, stainless steel hinges, premium triple locks and lots of laser cut decorative screen designs to choose from is just the beginning. 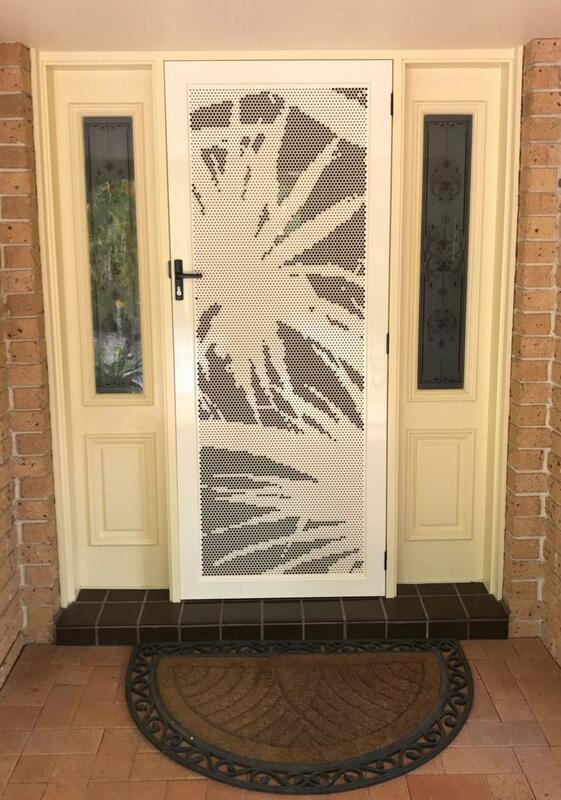 Decoview is revolutionising the security screen door and window industry by bringing together stunningly designed laser cut decorative screen panels, with high level home security door systems. You can choose from beautiful laser cut screen designs or our high strength perforated designer screen doors and windows. 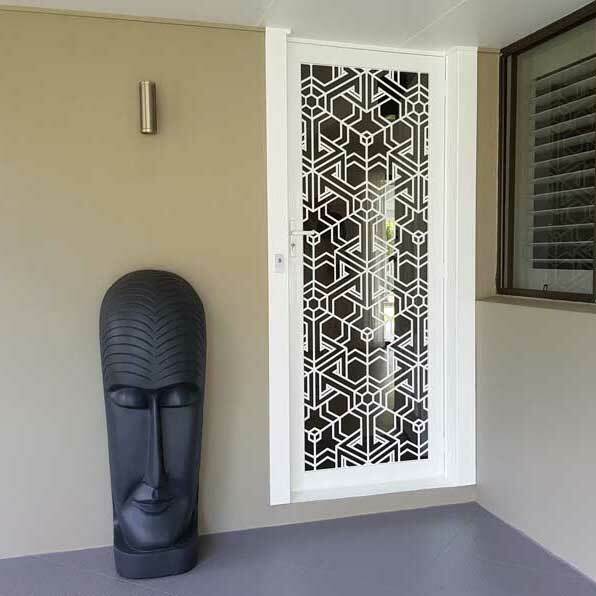 Make a statement by putting a Decoview custom security screen on your property. 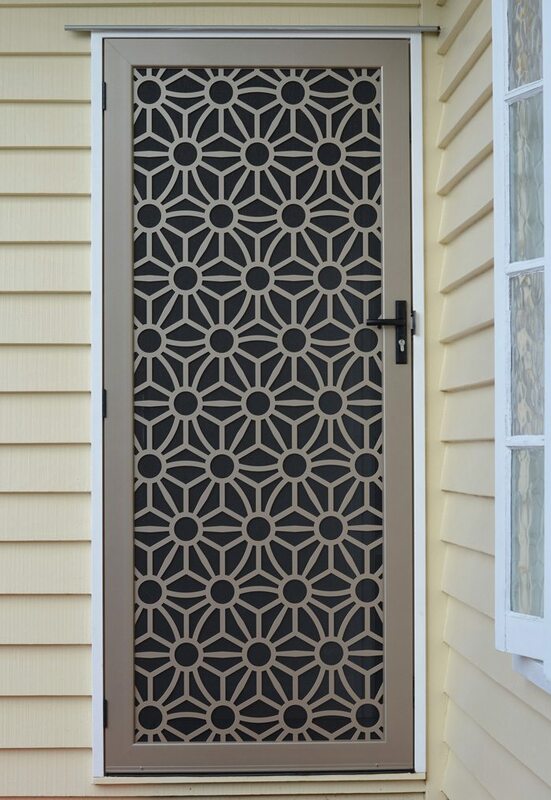 Your new Decoview security screen door is only a few easy steps away. 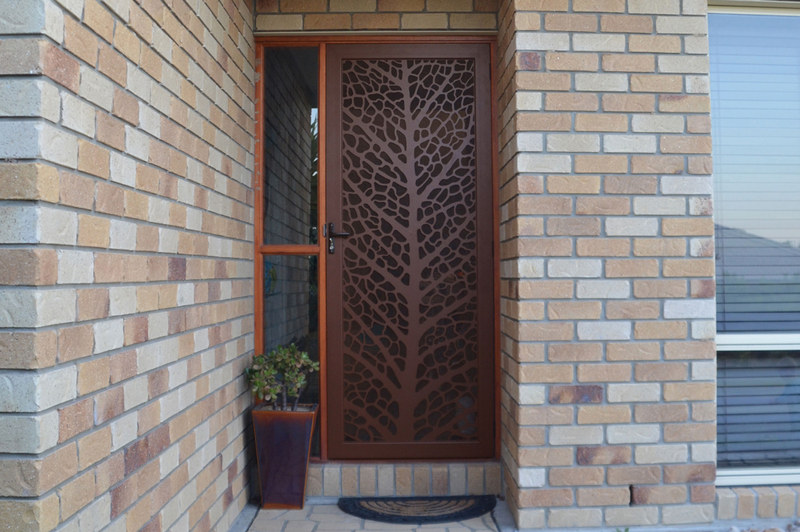 Our Decoview laser cut decorative security screens not only look amazing, they offer privacy and security. 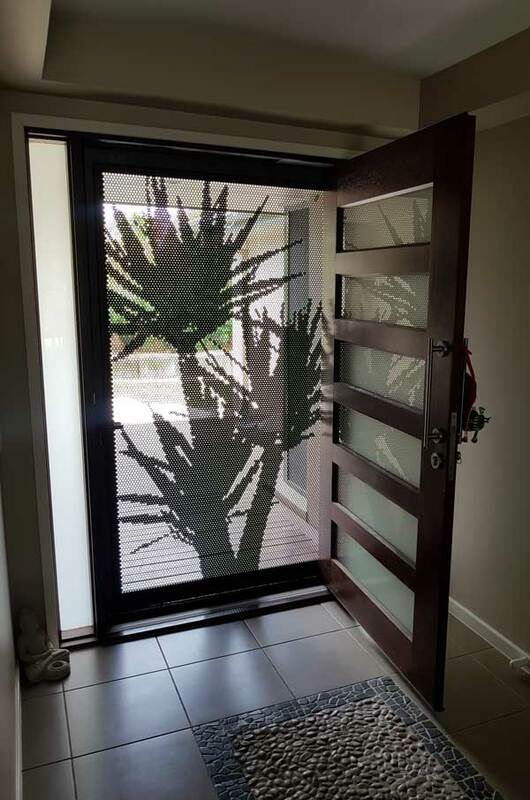 This means you can see out but the outside world can’t easily look in your property. If you need a new security door or window don’t compromise on appearances. Change your view with a Decoview laser cut screen door or window screen. 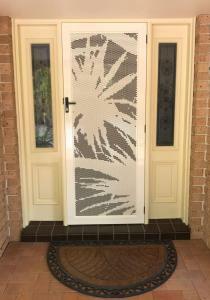 Decorative security screens made to withstand the harshest Australian conditions. 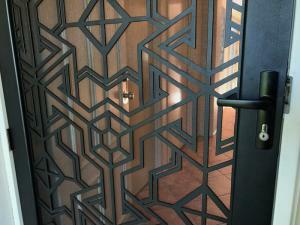 Backed by a 10 year industry leading guarantee on decorative security screen doors. We have been pulled, pushed and prodded. 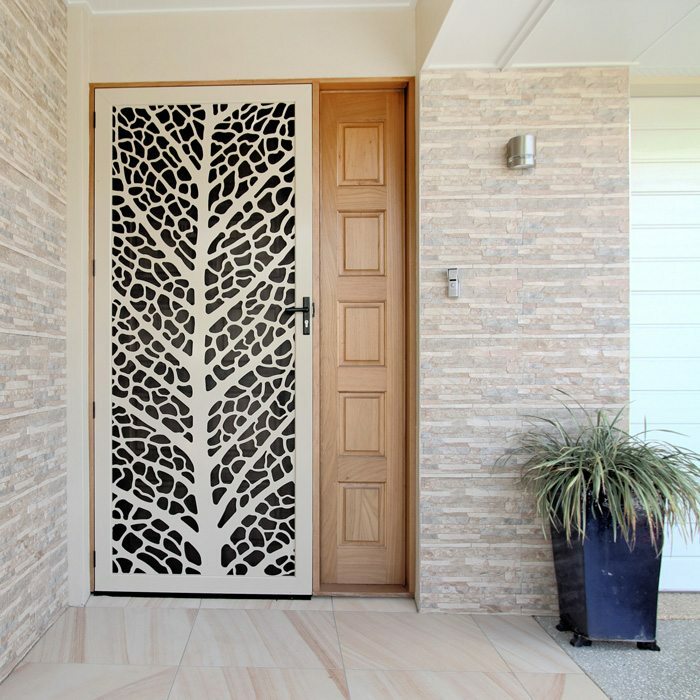 Decoview doors are not just a pretty face they are super strong too. Decoview doors are the child of 21st-century technology and CNC cut out of the same marine grade material used to build coast guard boats. 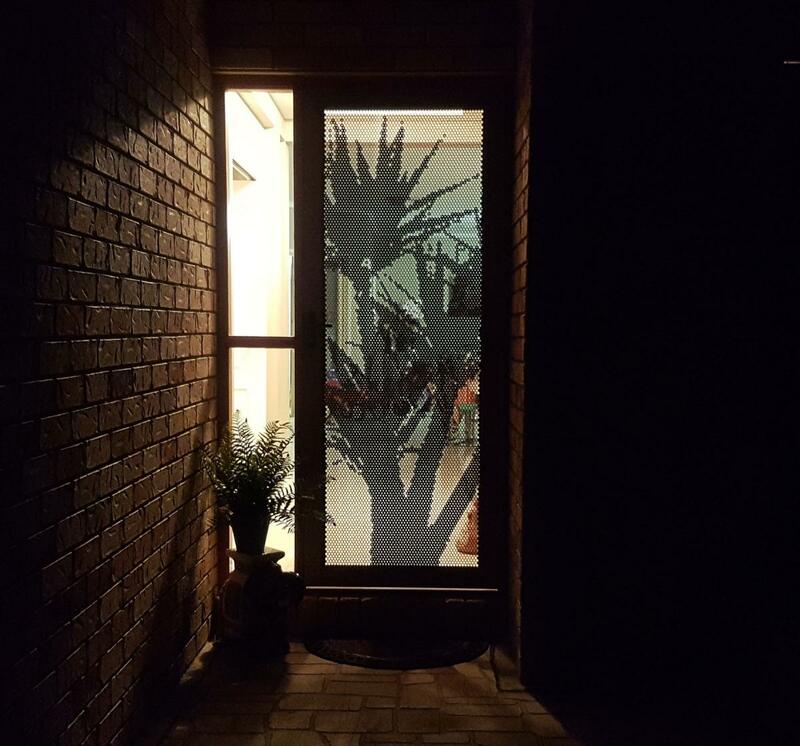 So it comes as no surprise when our Decorative security screen doors were tested for current Australian standards that were designed for security screens developed over 20 years ago that our security screen door of the future passed the test. 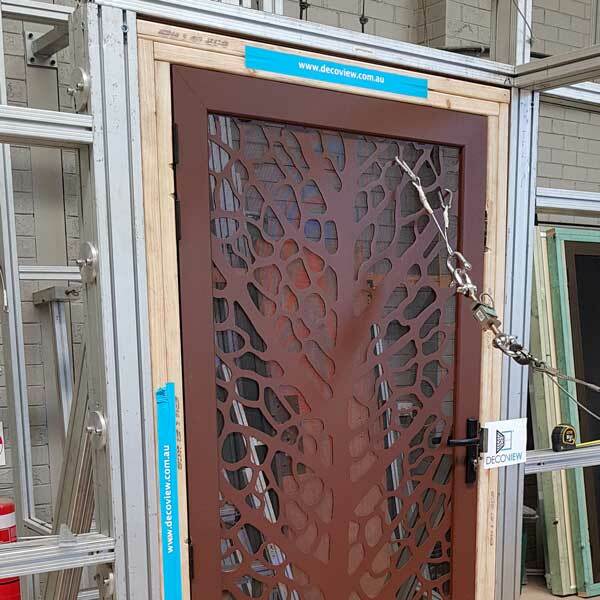 Our decorative security screen doors are independently tested for Australian standards at a NATA Certified test lab in Sydney NSW. 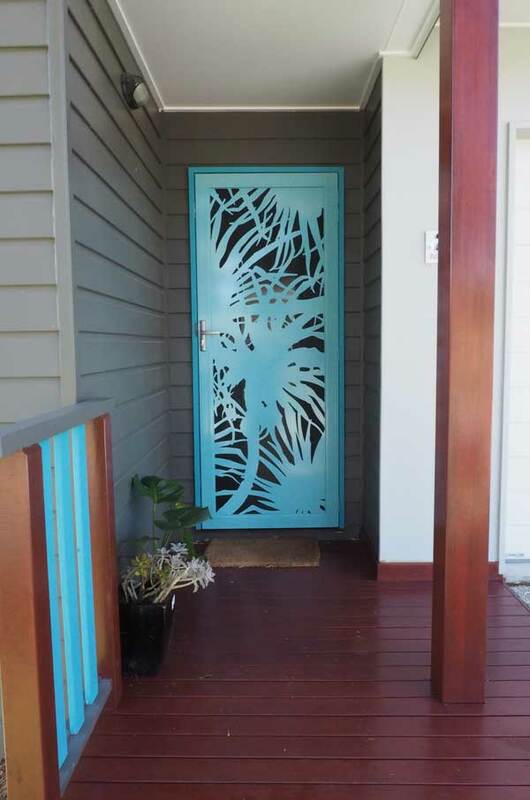 Decorative security doors made to measure in Australia. Decoview proudly supports Australian manufacturing keeping local jobs. 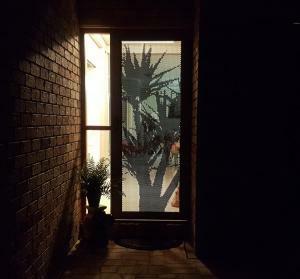 Intruders don’t stand a chance against one of the strongest security screen doors on the market. Made with strong aluminium. 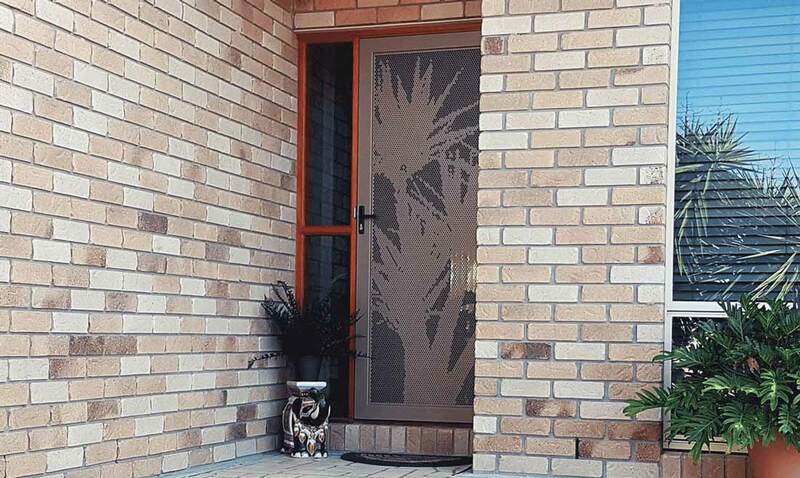 Say goodbye to insects and bugs, every Decoview security screen door comes with fibreglass fly mesh as standard and midge mesh on request. You don’t have to settle for boring standard colours! 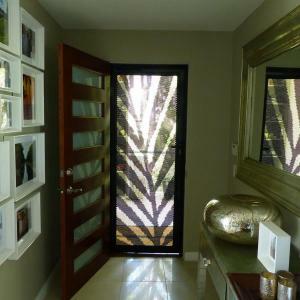 Decoview security screens come in a huge range so you can express your style! 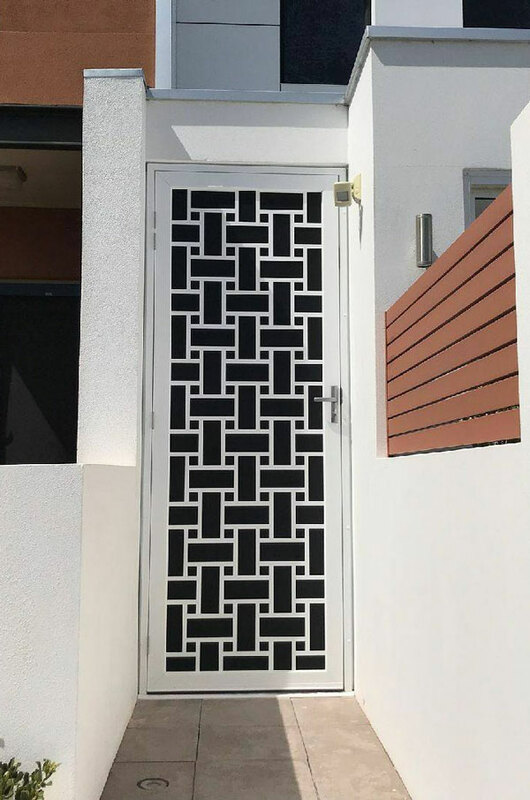 You can’t make the world’s most beautiful security door without designs to match the architecture, we have plenty of fabulous designs for you to use. 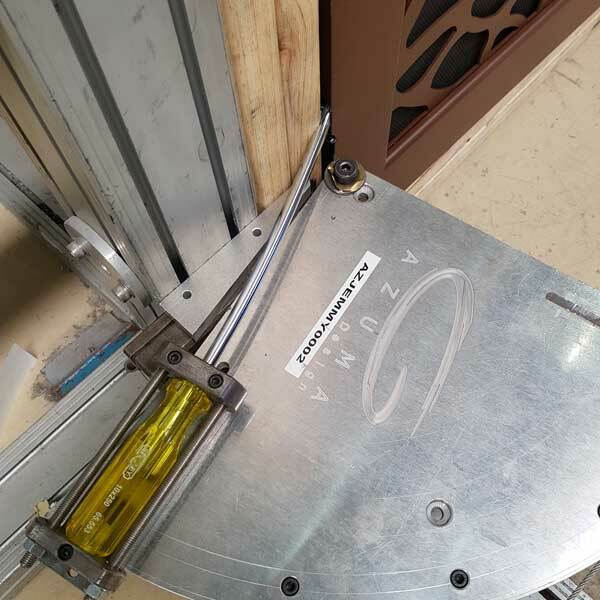 Decoviews innovative patented clip fit extrusion system is incredibility strong and also allows securing of a number of material panel thicknesses. 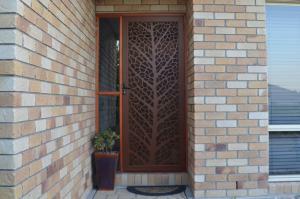 Decoview laser cut decorative security screens are available with a triple lock kit option for added security. You can rest assured with a Decoview. DO YOU HAVE A QUICK QUESTION? MAYBE WE HAVE SOME QUICK ANSWERS? 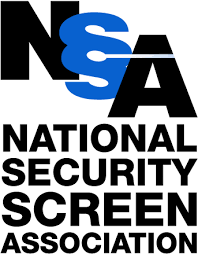 What makes Decoview one of the strongest security screens on the market? 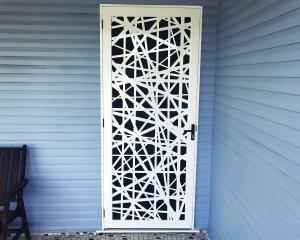 Decoview has some of the strongest and most corrosion resistant doors on the market. 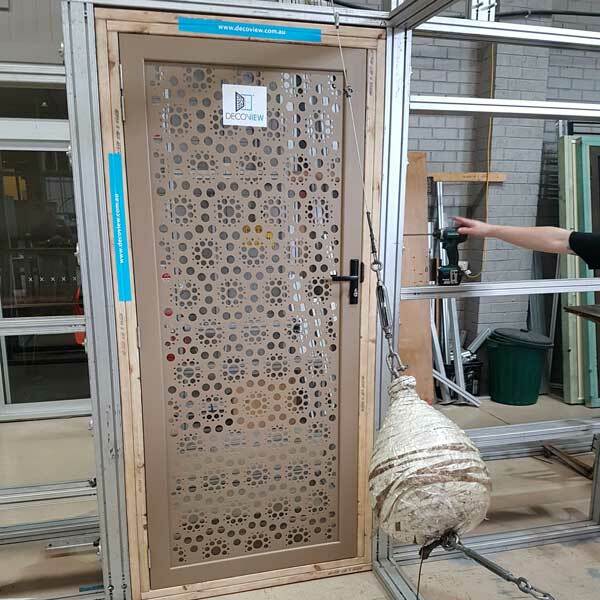 Thanks to our patented frame Decoview extrusion system, our doors have 2 main advantages; a one way clip that secures the frame and screen together and then Aluminium rivets that reinforce that already incredibly strong assembly. The adjustable clip also means Decoview doors can accommodate many material thicknesses from 2mm to 8mm. 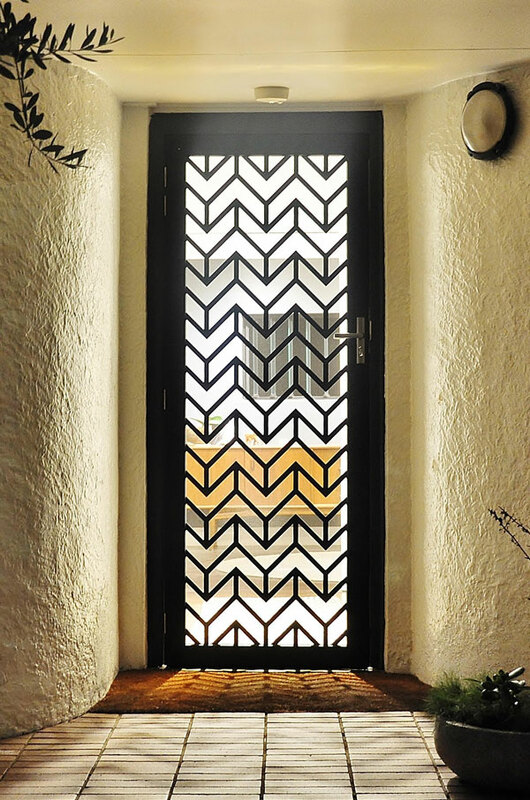 This ensures the correct thickness of material is used for your decorative security door or window design. Decoview back this up with an Australian wide 10 year Guarantee. Now that’s confidence. What Designs can I have with Decoview? 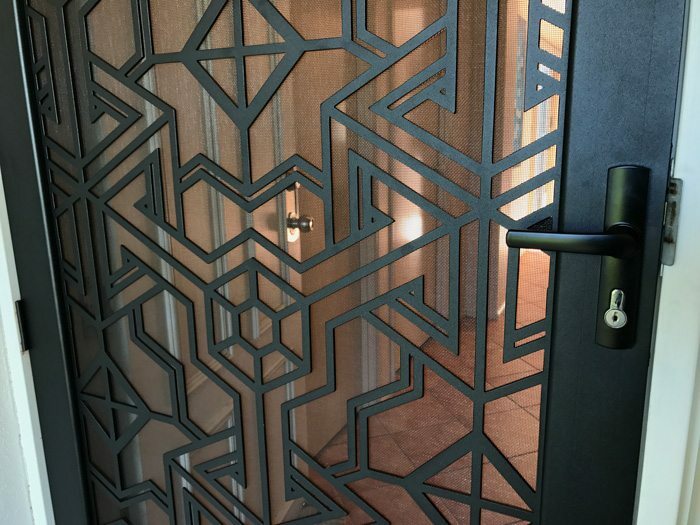 We are the masters of custom security screen doors our designs for decorative laser cut security doors and windows are endless. We have a select few designs on our website but don’t let them limit you, if you want a custom laser cut screen made or something personalised to suite your specific style we can help with that too. 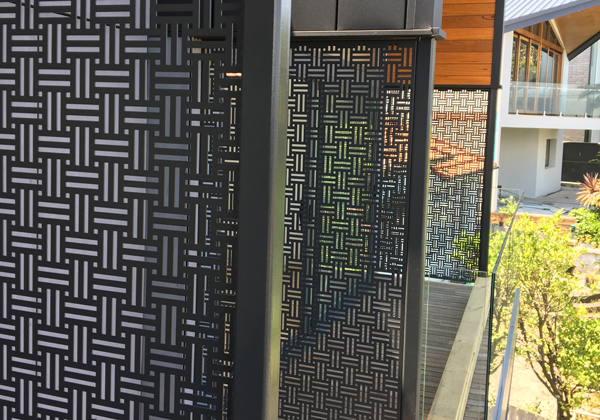 Please click here for our designs page and enjoy just some examples of our laser cut screen designs, start thinking about your next custom security screen today. Can I update from my old outdated security screen door? Decoview doors are the perfect solution to improve the value of your home with very little investment. 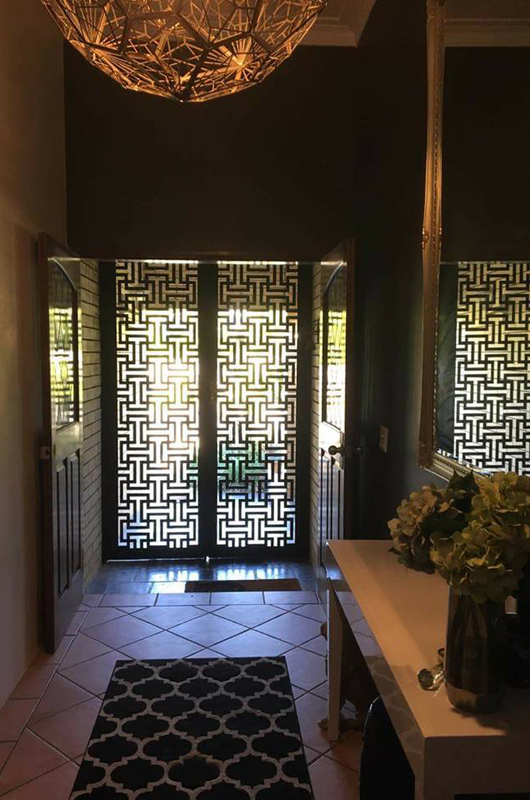 Remove your outdated diamond grill security screens or stainless steel mesh screens today and change your view with a fancy security screen door by Decoview. 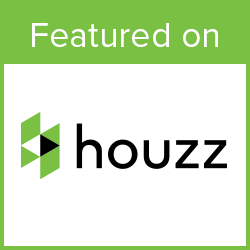 Our doors come with the top industry standard hardware and will fit your existing location. All we need is the door frame measurements and your new Decoview decorative security door will come complete ready to install. 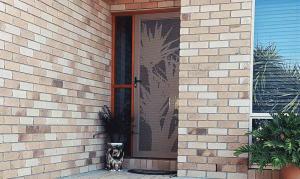 Decoview also offers installation services for security screen doors Australia wide. So all you have to do is choose a front screen door design and you will have a fancy screen door installed before you know it. Our doors come with the top industry standard hardware and will fit your existing location. All we need is the door frame measurements and your new Decoview decorative security door will come complete ready to install. Can I update from my old outdated stainless steel mesh door? 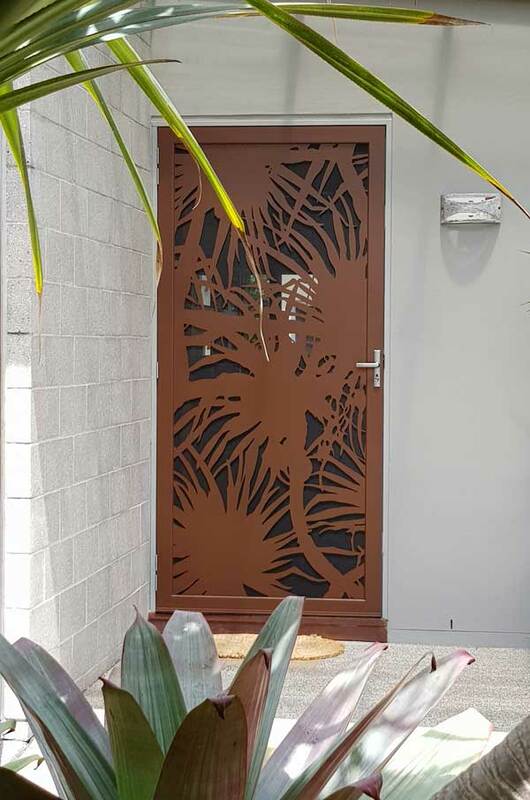 Decoview decorative laser cut security doors and windows are shipped Nationwide so whether you are in Brisbane, Melbourne, Sydney, Townsville, Cairns, Gold Coast or Newcastle we can ship to you. 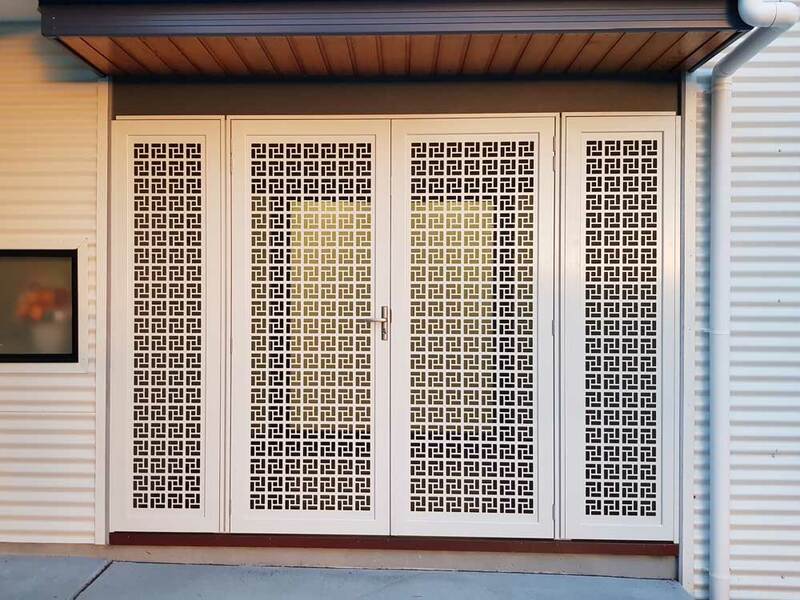 Please also contact us if you have international requests we can also ship our laser cut decorative screen doors to you. What powder coat colours can I choose from? Our range of powder coat colours are amazing please click here for more info. Will my Decoview screens rust? 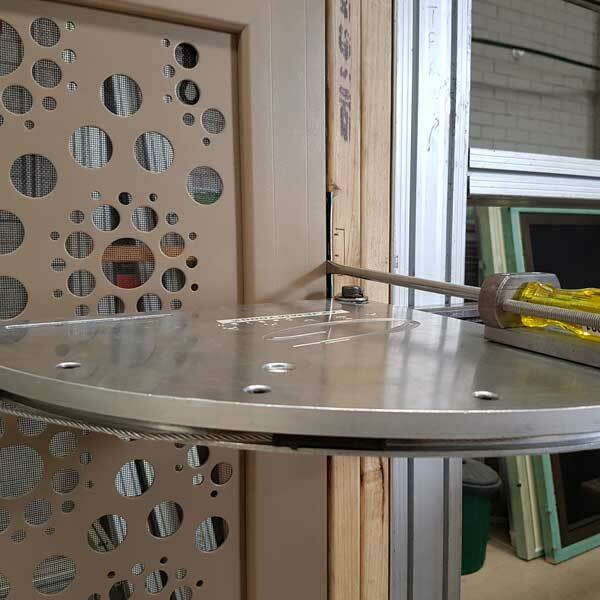 Thanks to our patented assembly extrusion system and our pre-assembly pre-treatment process there is no exposed bare metal, combined with the fact that Decoview screens are ALL aluminium so no electrolysis between the frame and the screen. IT FEELS GREAT TO BE PART OF SOMETHING. If you need commercial grade quality laser cut screening check out our site dedicated to laser cut screens. 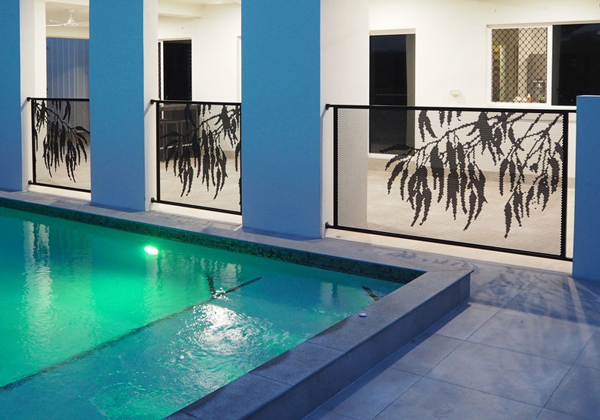 Australia’s only Certified and tested Perforated Pool Fencing System Pool Perf exclusively from Decoview. 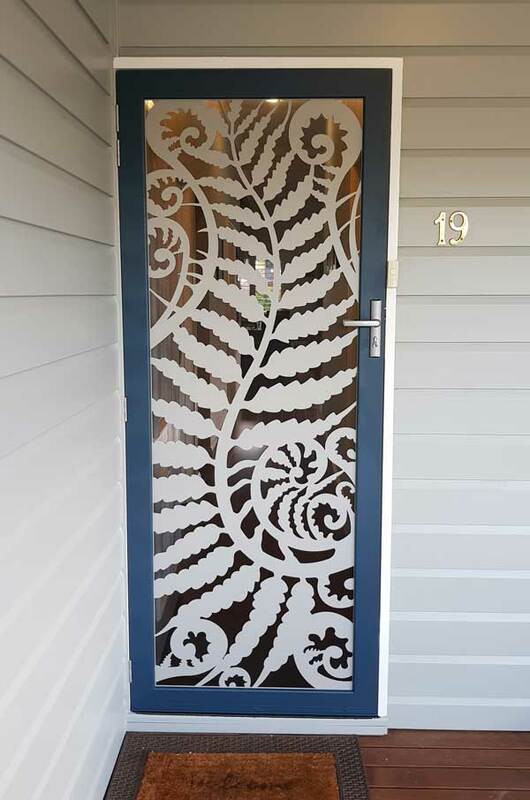 Copyright 2017 Decoview Pty Ltd | All Rights Reserved | The best looking security screen doors in the world are here now, no need to look further.